Divorce is complicated, especially if you need to sell your home. And, it is also probably the hardest thing you will have to do together, while separating your lives. I really didn’t want to start a blog post like this, but it’s true. When over 50% of couples end up divorcing, how can it not be hard? My name is Michele Shuman and I am a licensed realtor in West Los Angeles with Keller Williams Beverly Hills. I am a residential real estate agent who specializes is buying & selling homes for divorcing couples. I know. It may sound like I am capitalizing on people’s misfortunes, but this could not be farther from the truth. So many of my family and friends have asked for my help in selling their marital homes during their divorces, and it’s through these transactions that I have become adept at this very specific process. It takes skilled negotiation when buying or selling real estate, but with divorcing couples, it also takes an expert in communication, neutrality and transparency. Change Your Perspective. It's Me, Not We. Well, Kind of. In a marriage, when you’re selling your house, your interests are generally aligned with your spouse. Together, your goal is to move forward to a new home, city or other life circumstance. In divorce though, when you’re selling your home, your interests may now be very different. You should determine your own next steps and goals are so you can use them as a guiding light throughout this process. For most divorcing couples, regardless of new, separate personal goals, I always ask my clients to focus on the bottom line, selling their home as a means to an end. . So how do I empower two divorcing people, who are often at odds, to focus on the importance of selling their home together? I rip off the “sugar-coating” and remind them this is not emotional, this is business. Selling your home after divorce is a business transaction and nothing else. I always pose the following question to my divorcing clients, “in current market conditions, how do we BEST sell your home for the most amount of money in the least amount of time and pain?” And, more often than not, I also ask my clients to enter this process with their own personal mantras of compromise and restraint. EQUALITY: No matter if I know both of the parties involved or not, I insist both spouses are at the initial interview / the listing appointment. This is very important because, as a realtor, I must clearly establish that there are no sides or favorites. In this situation, I am always going to be the neutral third party, chosen to make the process fair and easy, as possible. Our personal relationships become irrelevant during our sales transactions. It has to be this way to make both parties become equal. TRUST: No matter if my couples are divorcing or not, I always say it is imperative that my clients feel a level of comfort and trust with me. Each person should feel heard and validated. This is why I believe it’s important to choose a realtor who not only has a successful sales track record in your area, but also a realtor who makes you both feel comfortable. There should always be a level of empathy, connection and understanding you both feel with your realtor or it’s not a right fit. COMMUNICATION: Whether or not you and your spouse are communicating, it is extremely important that I communicate with both of you, equally. Over the years, I have found corresponding is best done with divorcing couples via email. This way both parties are informed at the same time. I also ask my clients to respond “reply all” so the three of us are on the same page. With divorcing couples, and especially with regards to selling their home, things can happen and often go sideways at a moment’s notice. This is why I am always available and easy to reach, via phone, email or text. Weekdays, nights and weekends. I try to always anticipate the problem/opportunity before it presents itself. PRIVACY: Generally speaking, while selling their home/properties, I recommend divorcing couples not advertise this. True, family and friends will know, but the goal is always to come from a position of power and the sale of your home should not be perceived as a “fire sale.” This is why I strongly encourage divorcing couples to work together on selling their home. Queue: Compromise and Restraint. I also do not offer up this information to prospective buyers and their realtors. When prospective buyers know couples are divorcing, they may assume the sellers are more eager to make a deal. Although in some cases this is true, I don’t want the buyers’ realtor to use it as leverage while negotiating the deal. Again, this is another reason it’s imperative for a good realtor who is aware of the intricacies of selling a home during divorce. PROBLEM SOLVING: This is a big one for divorcing couples. Because things can go sideways so quickly, it is advisable that your realtor is able to efficiently solve problems with confidence and ease. This is one of the reasons you are hiring one. This will be quite important when pricing your house for sale; negotiating with buyers and finding creative solutions to close your deal. If your realtor is creating more problems than solving them, he/she is not effectively doing the job for you! 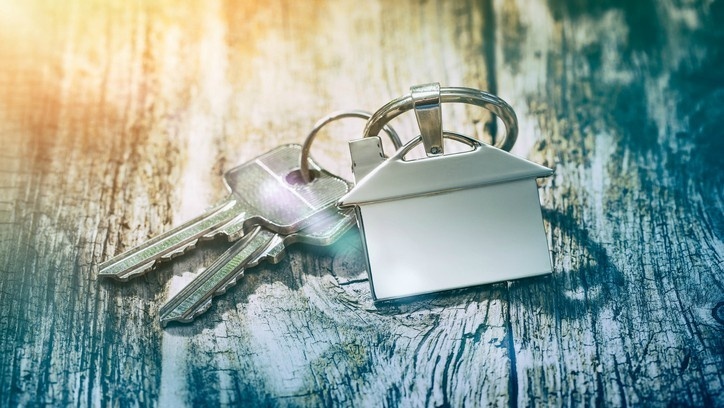 The bottom line is that you need to trust your realtor to take you through the entire process – from marketing your property to open houses, to negotiation and all the way through escrow. This is why we are here! And, remember, this is not an emotional decision it’s a business transaction.